Trans-Global International is not just a name, it's our promise to provide high quality company specific auditing and support services. Our goal is to make your job easier and to add more profit to your bottom line. Trans-Global International is the recognized leader in parcel freight auditing and reporting throughout the domestic and international business community. Quality and industry-leading technology has been our business model since inception. TGI can reduce FedEx, UPS and DHL parcel freight costs 5-6% by identifying overpayments, delivery failures, unauthorized shipping charges and streamlining clerical responsibilities. 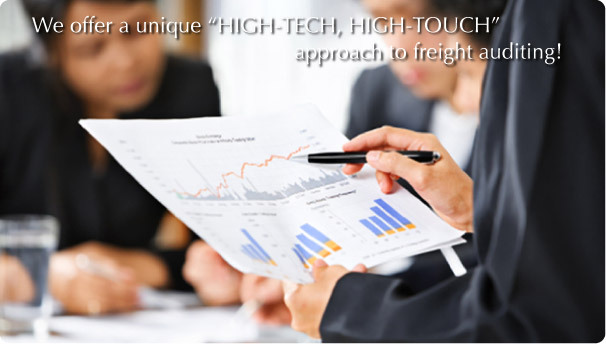 TGI's superior parcel freight audit technology finds all invoice errors large or small. The parcel freight audit service is timely, accurate and totally confidential. If managing your monthly FedEx, UPS and DHL parcel freight bills is a challenge, TGI offers the ideal solution- an innovative package of parcel freight auditing, recovery, cost allocation, rate analysis, rate negotiation and parcel freight payment services. With TGI, you start saving money immediately. Avoid paying for FedEx, UPS and DHL parcel freight carrier delivery failures and billing mistakes. Select TGI to complete a comprehensive parcel freight audit for your business and get the money back that is rightfully yours. Our goal is to make your job easier and to add more profit to your bottom line. What gets measured, gets managed. TGI will help you achieve a greater understanding of how to meet your FedEx, UPS and DHL parcel freight shipping needs and give you peace of mind. Contact us today.